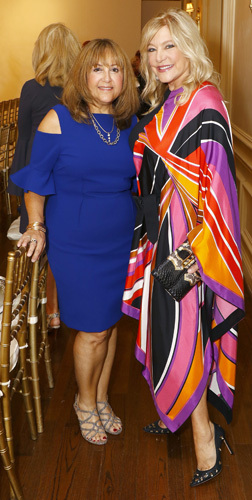 Andrea Alcorn, 2017 President of KidneyTexas, Inc., chose the butterfly to symbolize KidneyTexas, Inc.’s The Runway Report Transforming Lives Luncheon and Fashion Show because around the world, it represents change, hope, life and powerful transformation. 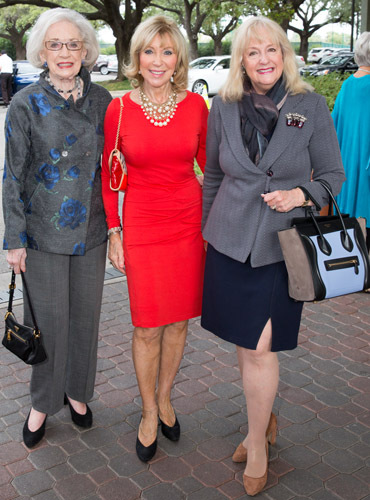 The fabulous logo was created for KidneyTexas, Inc. by Lynn Townsend Dealey, a longtime member who has created the luncheon logos for many years. 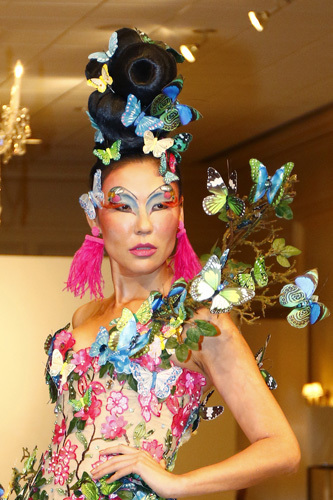 The fashion show featured a model dressed in a glorious flowing gown of butterflies, some perched on branches on her wrists and shoulders and scattered throughout her hair. All models hair styling was donated and created by Dear Clark and make-up by Stila. 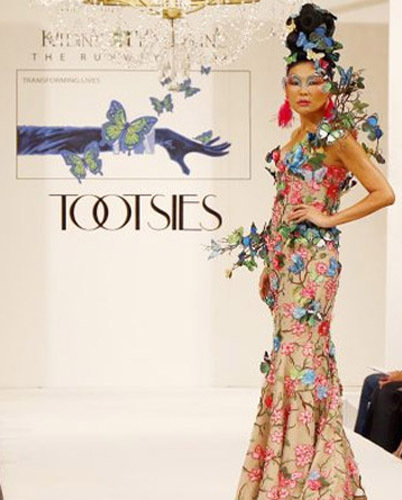 The event honored community leaders, kidney donors and recipients, underwriters and sponsors spotlighting the hottest fall fashions from fashion show sponsor TOOTSIES in a beautiful runway presentation produced by Jan Strimple. Brook Hollow Golf Club was filled for one of the favorite events of the season to benefit KidneyTexas, Inc. and its beneficiaries Baylor Health Care System Foundation, which was granted $30,000 for a five-year study of kidney transplants; Camp Reynal, which enables over 100 children to enjoy summer camp and is equipped to handle their medical needs, $19,500; Children’s Medical Center Foundation received $20,500 for hemodialysis and blood pressure machines; Parkland Foundation was given $30,500 for a kidney dialysis unit; UT Southwestern Medical Center received $29,925 towards kidney related research; Texas Health Resources Foundation received $14,214 for a hemodialysis machine. 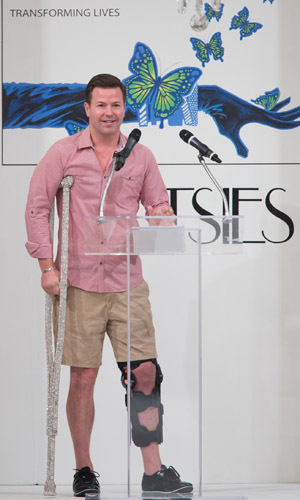 Ron Corning, WFAA news anchor and emcee, took the stage sporting a new accessory: A rhinestone-studded crutch, given to him by luncheon chairs Christine Martin and Susan Russell, to help support him on stage as he wore a brace on his now-healing left leg. 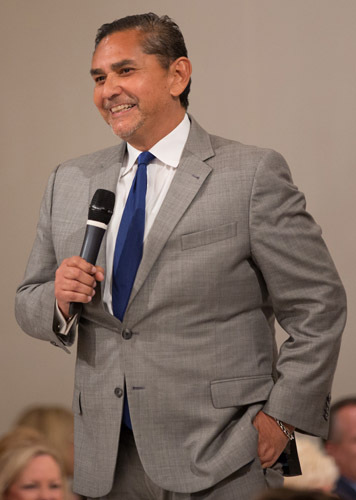 He welcomed guests, congratulating KidneyTexas, Inc. on raising almost $3.1 million in the past 17 years, stating their mission is to provide funding to improve the methods of treatment, cure and prevention of kidney disease and other kindred or contributory diseases, and to develop more adequate provision for the care of persons suffering from such diseases. Andrea received a warm welcome as she greeted supporters. 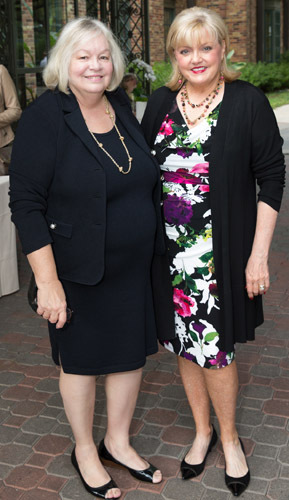 She shared her own story, saying that joining KidneyTexas, Inc. in 2002 is one of the smartest decisions she has made because she has not only made friends to last a lifetime, but has been a personal witness to the life-changing benefits and advances in care this research provides. 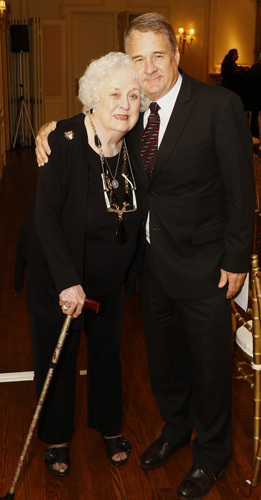 At age 88, her mother is one of the oldest kidney transplant recipients and is still thriving. Jody Dean, a Morning Show host at KLUV 98.7 FM, joined Andrea on stage as a special presenter and gave an inspiring invocation. Afterwards, everyone who has a connection to someone who has had a transplant or with kidney disease was asked to stand. More than half stood to a rousing round of applause of support. 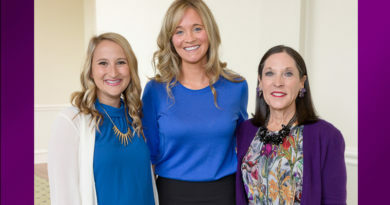 Among those standing was transplant recipient Jan Woerner transplant recipient and her donor and dear friend, Rhonda McCartt; Melissa Trezza, donor to her son, Vinnie; and McKamy Tiner, one of last year’s luncheon chairs. At the time McKamy donated a kidney to her dear friend Ian Arena, she was 27, one of the youngest kidney donors in the United States. 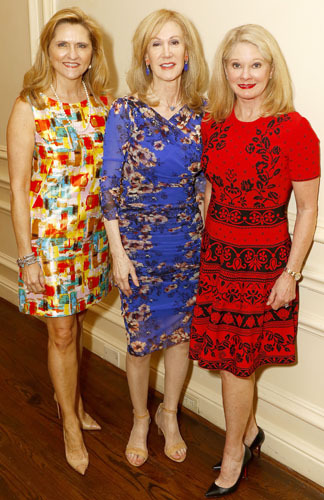 Jody also recognized luncheon co-chair Christine Martin who battled kidney disease for years. Thirteen years after her first transplant, it was discovered that kidney was failing. Her brother Fred donated one of his kidneys to her and today, they both are enjoying healthy, normal lives. They both have helped organize golf tournaments and raised funds for Kidney Kids and Camp Reynal. Linda and Steve Ivy, Honorary Chairs were presented to the crowd and doctors and surgeons involved with kidney disease, research and transplants were recognized. Everyone was overcome with profound emotion as those standing received a resounding ovation. 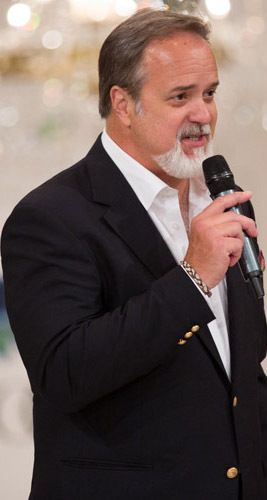 John Castorr took the stage and invited the men in the crowd to join Men of Kidney, a key support group of KidneyTexas, Inc.
Ron introduced the award recipients, beginning with Sue Goodnight, namesake of the Sue Goodnight Service Award and also the recipient of the Lifetime Achievement Award. 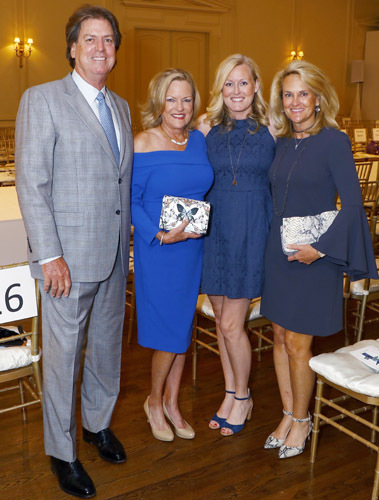 Natalie Taylor, a longtime KidneyTexas, Inc. supporter, lifetime member and former president was honored with the Sue Goodnight Service Award. 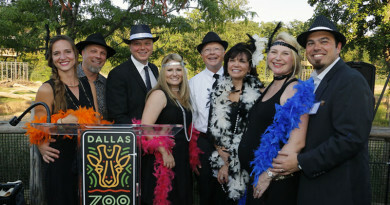 Both Dee Lincoln of Dee Lincoln Prime, along with Dustin Holcomb and Nerissa von Helpenstill of TOOTSIES were honored with the Over-The-Top Awards. As the lights dimmed, music filled the room and the fashion show revealed beautiful and exciting fashion trends for fall and winter: gloves of all lengths, fur vests, flowing trousers, ankle-high shoes, knee-high boots, lace leggings, wonderful cocktail dresses and work wardrobes, casual ensembles and elegant evening dresses and gowns. The finale drew much applause, featuring a model dressed in a glorious flowing gown of butterflies, some perched on branches on her wrists and shoulders and scattered throughout her hair. All models hair styling was donated and created by Dear Clark and make-up by Stila. Following the fashion show was a fabulous live auction, featuring a dazzling butterfly Judith Leiber handbag donated by honorary chair Linda Ivy, a Party for 50 catered by Mr. Mesero and championed by owner Mico Rodriguez, who made great gains as he encouraged bidders from the stage; “Dreamy Blue’s” painting from Georgeana Ireland, a Botanical Mix arrangement encrusted with authentic minerals at the base and a “Hollywood Rockstar” treatment package including airfare. 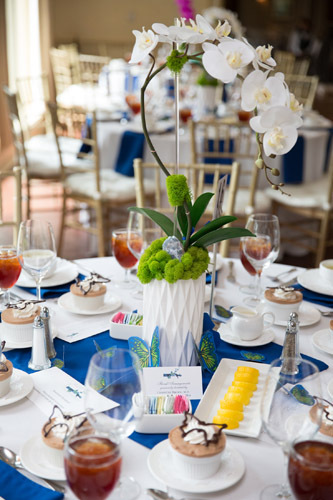 A most delicious luncheon was served throughout the club, finished with a chilled chocolate soufflé, topped off with a chocolate butterfly. 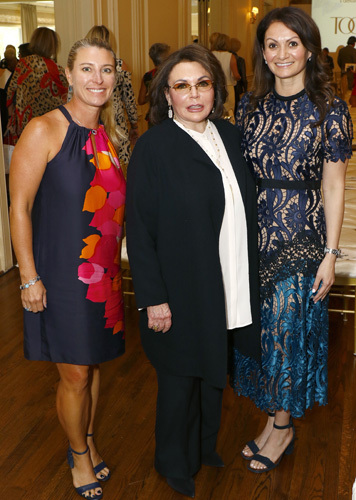 As a very special treat, TOOTSIES hosted a post-luncheon champagne reception at their Preston Center boutique. 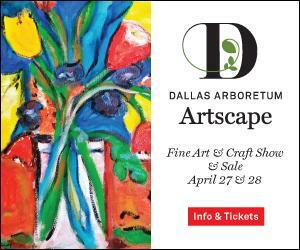 Media sponsors were PaperCity Magazine, The Park Cities News/The Waters Family and My Sweet Charity. 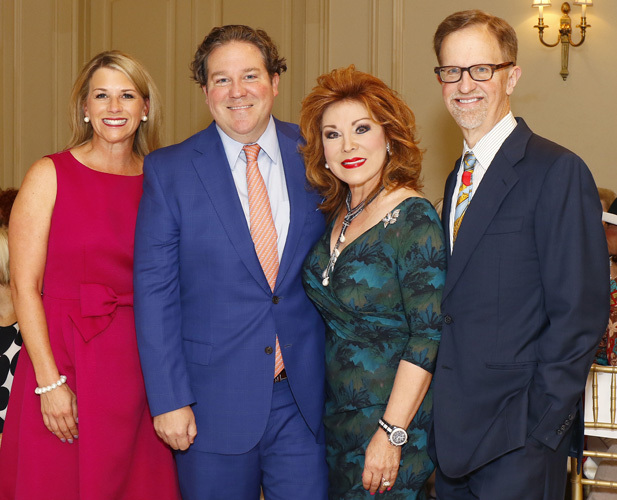 History: Since 1999, the dedicated volunteers of KidneyTexas, Inc. have worked in tandem with our generous underwriters to raise over $3.1 million for local efforts to improve the ability to diagnose and manage kidney disease. 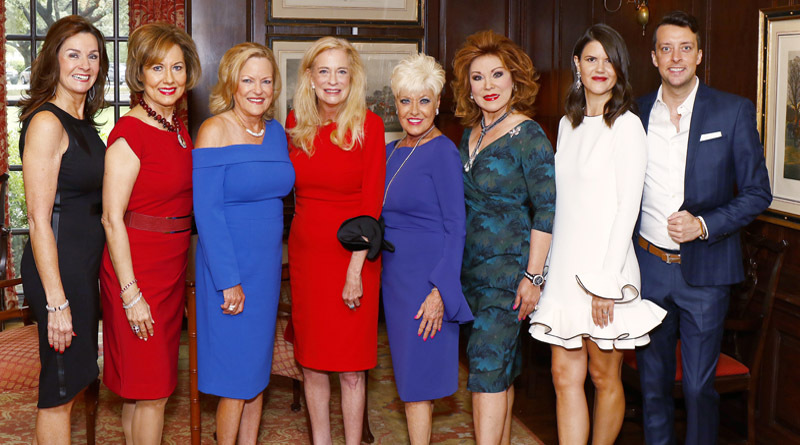 Each fall KidneyTexas, Inc. hosts its Fashion Show and Luncheon in an effort to raise money for designated beneficiaries and awareness for a disease that affects millions of people each year. 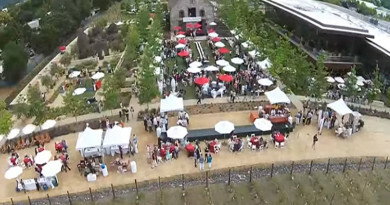 The success of this event depends heavily upon the contributions and dedication of our Dallas business and community leaders, and we’re asking for your support. Sharon Adams, Adams Communications Public Relations, is honored to represent KidneyTexas, Inc.